It turns out Pueen in all their Love Elements glory got the jump on this whole lace thing doing a few sweet versions for those who love lace and apparently love. These represent a great value for anyone looking to pick up a good set and also get some lace along the way! This set generally retails for $18.99 and can be found at a variety of stores thus shipping depends on where you order. 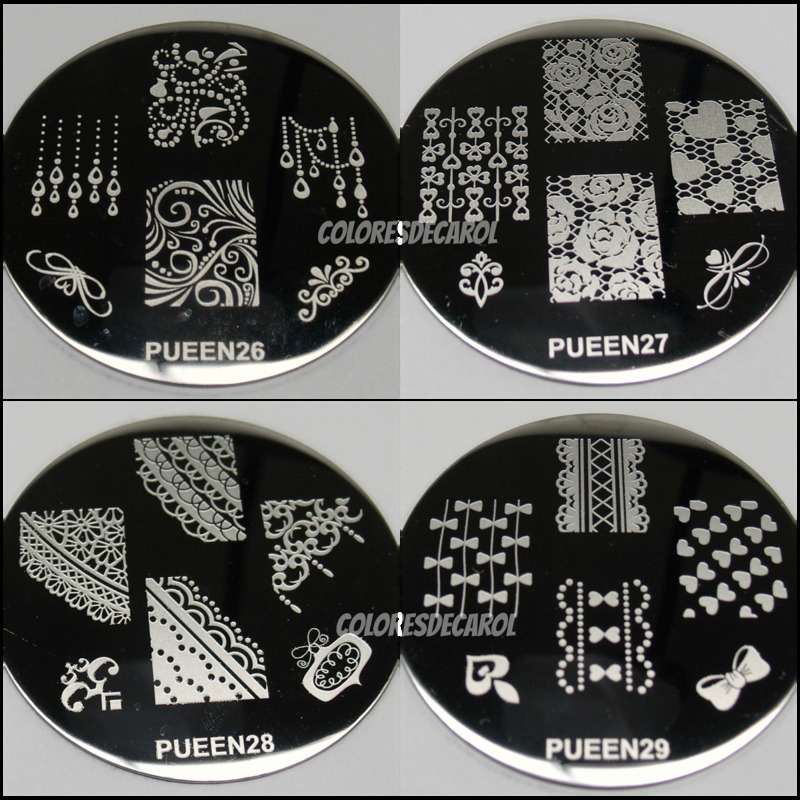 This plate represents one of the first full size nail lace designs, and launched in Nov/Dec of 2013. This plate was part of the Bunny Nails Everyday nail art series, and as usual with everything she does these plates are quietly and beautifully making a statement about her creativity and attention to detail. This plate retails for 17.99 with free worldwide shipping. 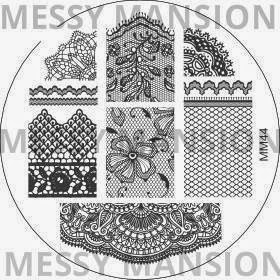 I honestly forgot about this plate amongst all of the lace which is a shame because these patterns are exquisite. 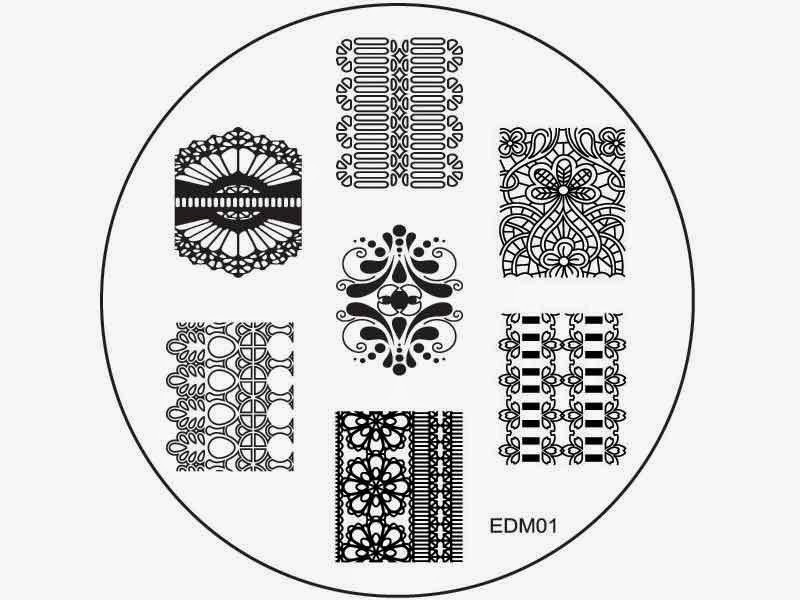 These EdM plates launched in Dec/January just a little after the Bunny Nails plates. 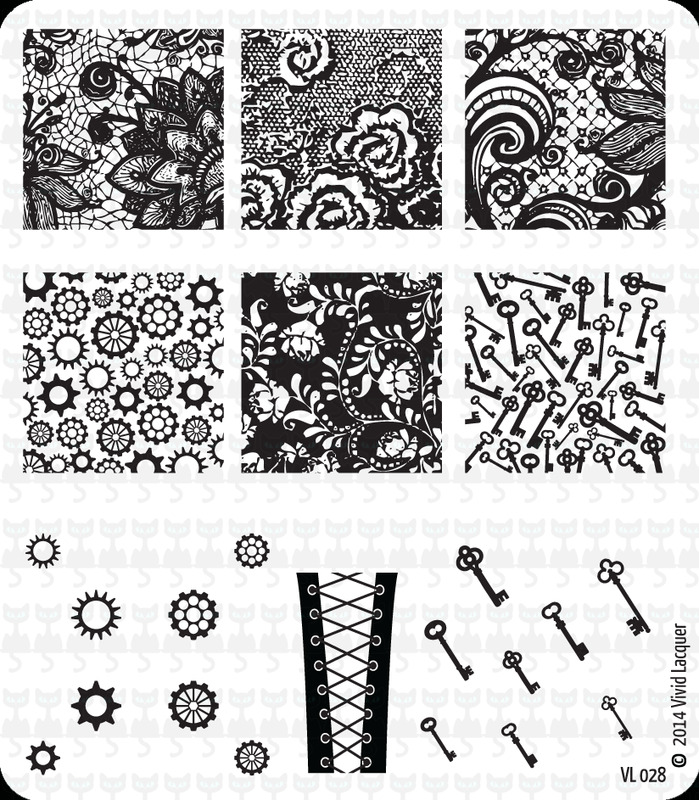 I also think EDM02 has a lace-quese pattern but because it wasn't as fine and detailed as these I didn't include it. EdM plates are available at Messy Mansion and retail for $7 USD + $2.50 shipping worldwide. The initial release of 20 plates featured this stunning plate followed by the one below which I announced yesterday. When they first hit the scene the surge of interested customers was insane! A lot of ladies were queuing up to get their hands on these patterns. With the second release little has changed, and ladies are still clamoring for the goods. These plates retail for $7 USD and $10 shipping to US from Brazil. This plate was announced several weeks ago and has been causing a tremendous uproar on many of the stamping groups I'm in. 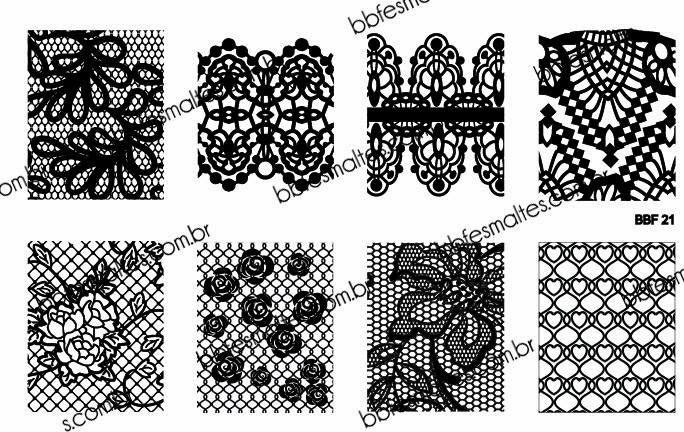 My thought is it was around this time and the release of the Loja BBF plates several months prior that the true buildup and demand for lace nail art started taking off. This plate retails for $7 USD + 2.50 worldwide shipping. It's been around 2 months since these plates were announced and the pre-sale went live. This plate was also announced around the same time as the Messy Mansion plate. Definitely a mark of the demand for lace in the nail art community. I can't wait for mine to arrive in a few more weeks! I am not entirely sure when this plate released. 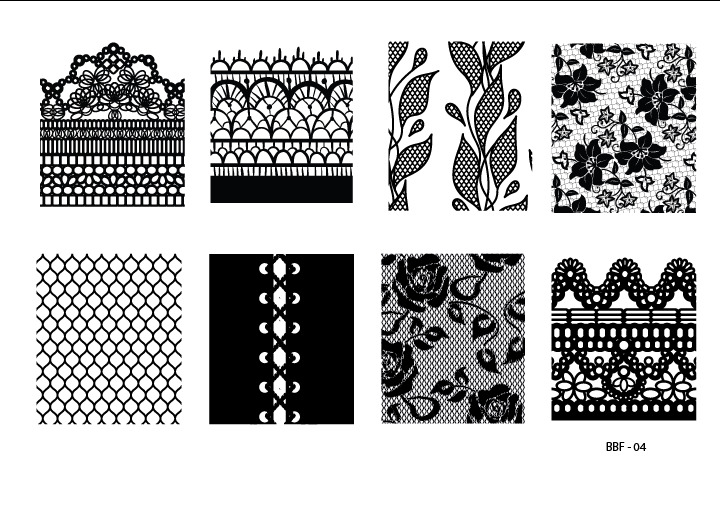 There are a ton of abstract type plates that are borderline IMO for what we would call lace however I know that this plate was released prior to the last set of 25 plates I announced roughly 3 weeks ago. So I placed it in the timeline around the same as Messy Mansion and Vivid Lacquer. 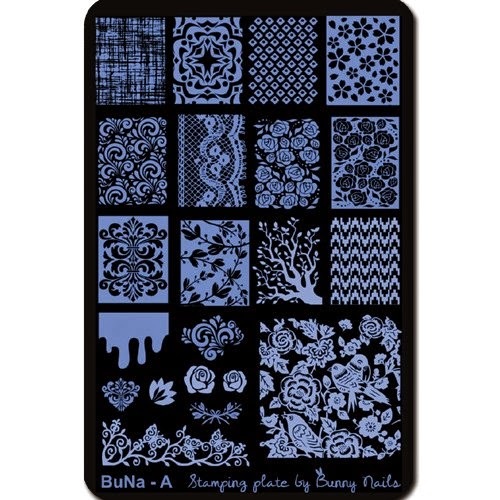 Infinity plates retail for 4.99 Euro and shipping is based on amount and destination address. As you recall I announced these plates on Wednesday as part of the Bridal Collection which released today for sale. As you can see these two plates feature a host of lace for the most eager lace loving enthusiast. In standard MoYou style they are available in both the XL and standard sized variety. These plates retail for 4.99 Euro plus shipping. I love 'em all! I have the Messy Mansion plates and plan on adding the MoYou ones next week!!! Lol thanks Mona! I will go look and see if I can find it. I wonder if I even have the A series I feel like a lot of the images from that line were super tiny and dissatisfying for that exact reason.. So many of them are fantastic! A great way to do freehand nail art without it being too difficult.